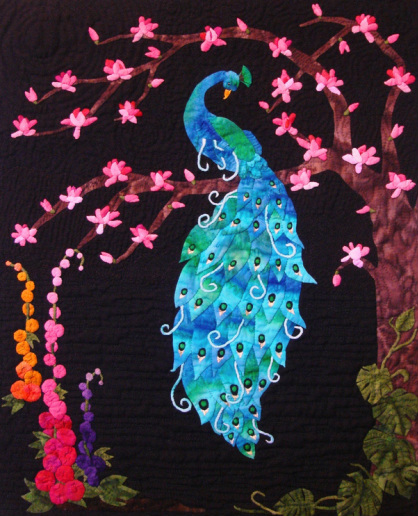 Serenity is a hand-appliquéd original design. It was inspired by a stained glass window I once saw in a restaurant. A tiny piece of real peacock feather adorns the head. The thin tendrils in the tail and dots of the feather eyes were also needle turned fabric. The quilt is about 15 inches long.